What is the Gov Cloud? The enhanced interest in cloud adoption in the government space has not been overlooked by large providers such as Microsoft and Amazon, and with good reason: Gartner foresees double-digit growth in government use of public cloud services , with sales and profits are forecasted to grow an average 17.1% per year through 2021. Microsoft’s focus on the cloud has paid off and business is booming for the Office 365 software suite and the Azure hosting business is expected to grow at a rate of more than 10% for the next few years. This is supported by Microsoft’s introduction of the Azure Government Cloud. As well as launching this government-specific edition of Microsoft 365 and Azure Stack, Microsoft is also taking on more ground by adding two new regions for data classified as secret. #AzureGov is a separate instance of Microsoft Azure that addresses the security and compliance needs of United States federal agencies, state and local governments, and their solution providers. Built exclusively for these organizations, Azure Government is a dedicated instance that only screened US citizens can access offering physical isolation from non-US government deployments. The cloud is changing the way organizations are able to do business, but more than that, is helping them meet the needs of their employees. Like in any space, government organizations are feeling the pressure to provide the most up-to-date tools and capabilities to its staff. The modern worker demands mobility and efficiency, and especially in the government space, security. Not only does a move to the Government Cloud help meet those expectations but in the long run will help them to evolve quickly as demands change with technology. As in all other industries, implementing new technology can be met by a lot of push back from employees that have grown accustomed to outdated software and processes. To alleviate these growing pains and ensure a successful move to the cloud a Learning Management System (LMS) built in the Azure Government Cloud can help. Training, with or without the cloud is a crucial component in an industry where compliance is king and strict regulations reign. However, many government entities are utilizing standalone systems and implementing a LMS (yet another piece of technology) that doesn’t integrate with their existing environment just isn’t a realistic option. However, with LMS365, the LMS built on top of Office 365, this is no longer an issue and it was also recently made available the government cloud our North American counterpart. Not only does this mean seamless integration for federal, state and local governments, but it means quicker adoption of the cloud as employees can receive training on the new technology in the platform itself. This is crucial in helping support large organizations of 40,000+ users in managing the change of implementing new technology, as well as driving usage and adoption. 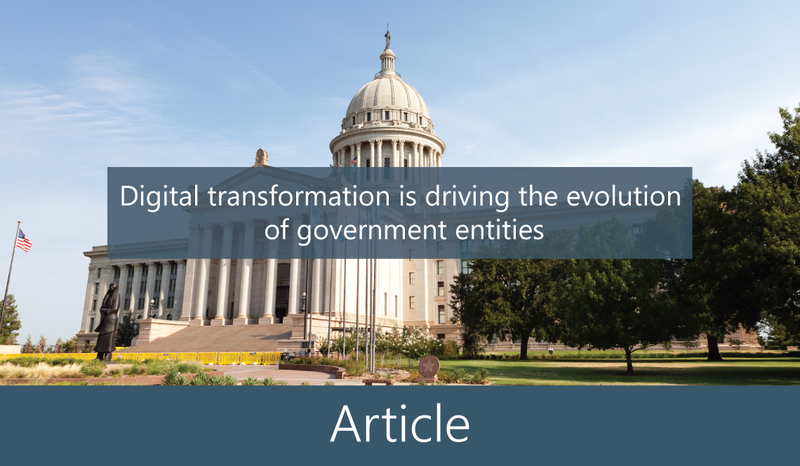 Find out more about LMS365 Government Edition.